Military Situation In Deir Ezzor Countryside On October 12, 2017 (Map Update) 5 out of 5 based on 15 ratings. 15 user reviews. 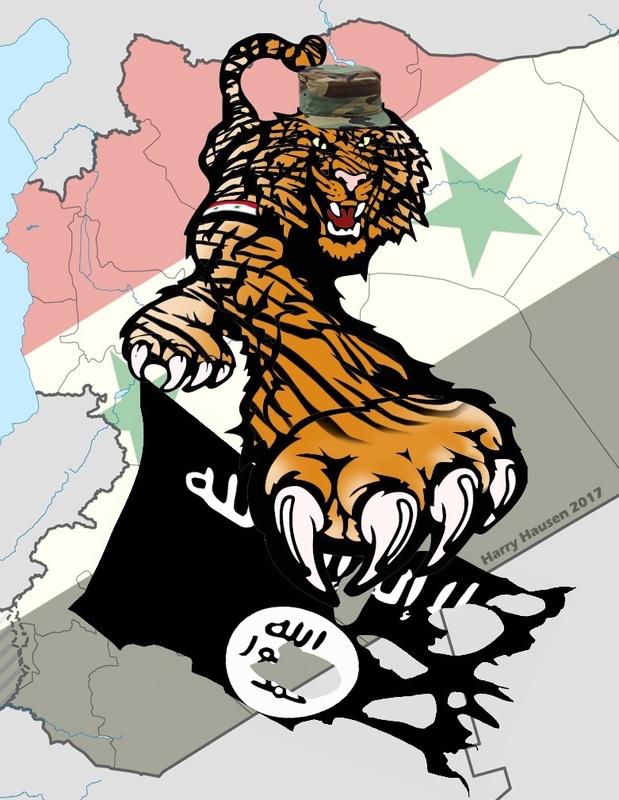 Government forces, led by the Syrian Arab Army Tiger Forces, have captured Balum, Balout, the Electrical sub station, the Taybah school and other points in al-Mayadin city located southeast of Deir Ezzor city. Separately, government troops have secured the al-Siyasah bridge north of Deir Ezzor city. ISIS terrorists have attacked the US-backed Syrian Democratic Forces (SDF) at the al-Jafra oil field. The ISIS-linked news agency Amaq claimed that the terrorist group’s members have seized the field from the SDF. Pro-SDF sources denied these claims saying that the clashes are ongoing. Hi Kell. That incident is a hard nut to crack for the “SDF-Forces”. It seems that the kurdish girlies thougt that ISIS beards are their boy friends and get fucked now..
Lol yep good to see them actually fighting for once, sick of seeing Kurds just wander into an area and take it unaposed accept for that one Isis unit that didnt get the Israeli memo and mauled them Lol. SDF related tweeters report Jafra oil fields taken by IS. Hope not as long as Qaryatayn. That incident is a pity and should tell the “SDF-Forces” that ISIS is no partner to negotiate. “SDF” took several ISIS fighters in their rows, but those who are real ISIS won’ t surrender and are a threat against SAA and “SDF”. Remember that. Personally, I am against, as in unhappy, about any deals between HTS/IS/SAA and any other party. Sadly, all parties seem to be making deals. WHAT DO U MEAN .. ? WHY HAVEN’T SDF CROSSED THE KABUR RIVER YET …..??????? Don’t ask me as I do not have the answer. There is a small crossing near Suhwar but that has remained unchanged for a week. The SDF is now more or less totally along the river banks, so crossing the river should be easy. I do not even know if there is any water in the riverbed or whether it is dry. There are several bridges, I do not know if destroyed. The river is, even when containing water, just some 20 to 40 meters wide. I think it will take this weekend before SDF will act. Aerial photos have revealed that the areas claimed by SDF up to and including Suhar (and Jafra oil field) are still in the hands of ISIS despite also showing US/SOF’s having access to some defensive enclaves of ISIS (local tribes). It appears some co-operation of these tribes have been bought off or bought into claiming territory and assets of Syrian proper. I guess it begs the question why crossing the river is even possible as not all locals have bought in on the above and possibly explains why there is still ISIS attacks on SFD. Those Russian Sukhois doing battle runs over them slowed them down and made them think twice, they were consolidating the area behind them and twittering to their masters as to the next move considering the geopolitical change re the Bear getting bitey. 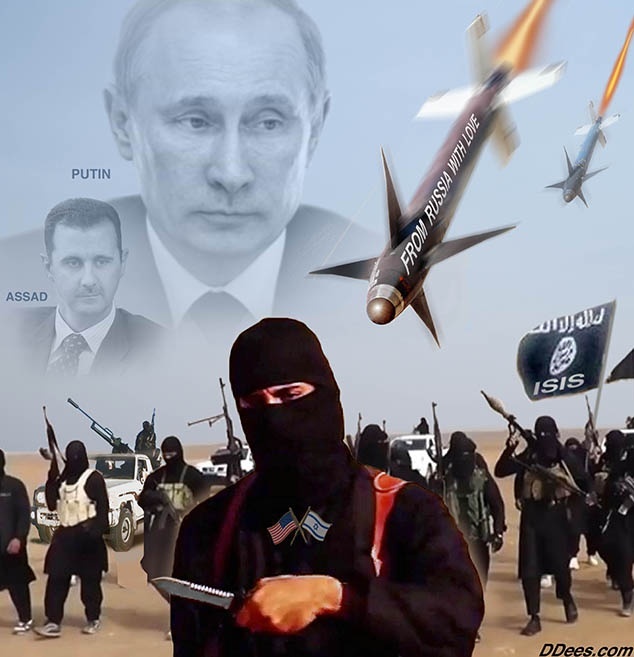 Just so you know, Tass reported that there is a heavy influx of ISIS mercenaries coming out of Iraq and taking positions on the eastern side of Eufrates and possibly infiltrating Raqqa as well. Conoco fields are gone been confirmed , they lost 10-15 dead SDF in the fight , happens when one is so overstretched like the SDF. If all the volunteers leave they will be vastly undermanned and in no way capable of maintaining half the territory if ISIS is going to fight. If what Russia is saying is true any movement around Mayadeen is assessed and bombed if necessary. In my opinion the southern bank of the Euphrates is empty apart from IEDs. No need to waste time there and just keep going. With the air support there is no danger from the flanks. Unless… Yeah… Unless there is a sandstorm coming which doesn’t allow any air support. There is fighting in those regions already so until there is any important ground taken it will be revealed until then don’t fret about it. ISIS crossed in those regions and they are not on the same playbook as the fake ISIS Shammar were they have FSA and HTS allies in them so they are on another payroll. Confused reports are coming in from SDF related tweeters. Jafra oilfields not taken by IS but heavy fighting amid counterattacks by SDF that have pushed at places to more or less the Khabur river, that would be an advance on earlier positions. Likely it will take some time before the situation clears.